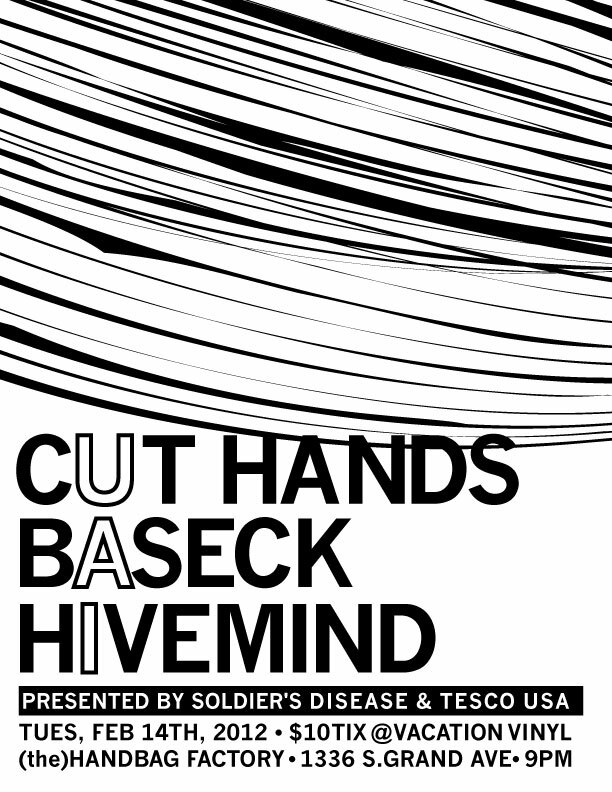 Soldier’s Disease and Tesco USA are proud to present the West coast debut of William Bennett‘s new Cut Hands project on Valentine’s Day this year with openers Baseck and yours truly, Hive Mind. 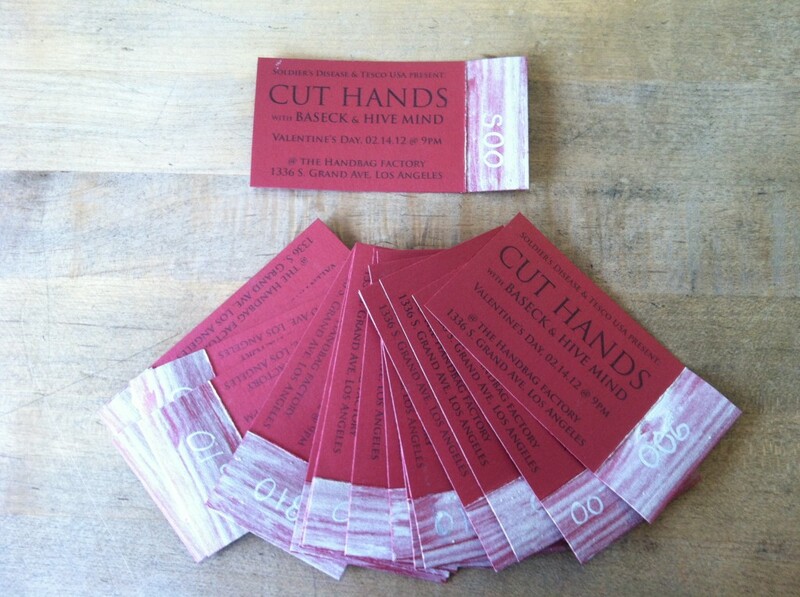 Handmade #’d tickets are available in person at Vacation Vinyl for $10 cash, or online via paypal & postal service for $11 sent to greh@soldiersdisease.com (please note that it is for tickets and make sure your address is correct). Here’s a link to the Facebook Event if you keep track of things that way.